The Yo-Zuri 3DB Shad presents bass with a highly reflective flash and a look that is unlike anything they have ever seen. Utilizing the latest in Yo-Zuris exclusive technologies, the Yo-Zuri 3DB Shad features an internal 3D prism construction that sends out flashes of reflected light in all directions. Along the belly of the Yo-Zuri 3DB Shad is Yo-Zuris patented wave-motion ribbing, which generates an added commotion as it wiggles through the water. 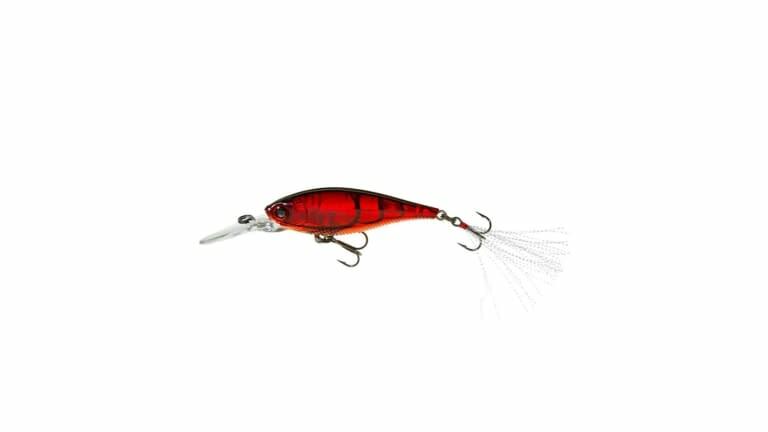 The Yo-Zuri 3DB Shad also features big, bulging red eyes that help bass identify it as an easy target. The rear hook is even tinseled with mylar threads to put off additional flash. Built with round bend black-nickel treble hooks, the Yo-Zuri 3DB Shad is a great combination of modern technology and the always-effective shad profile.